It’s my opinion that the better a baby sleeps during the day, the better he will sleep at night. 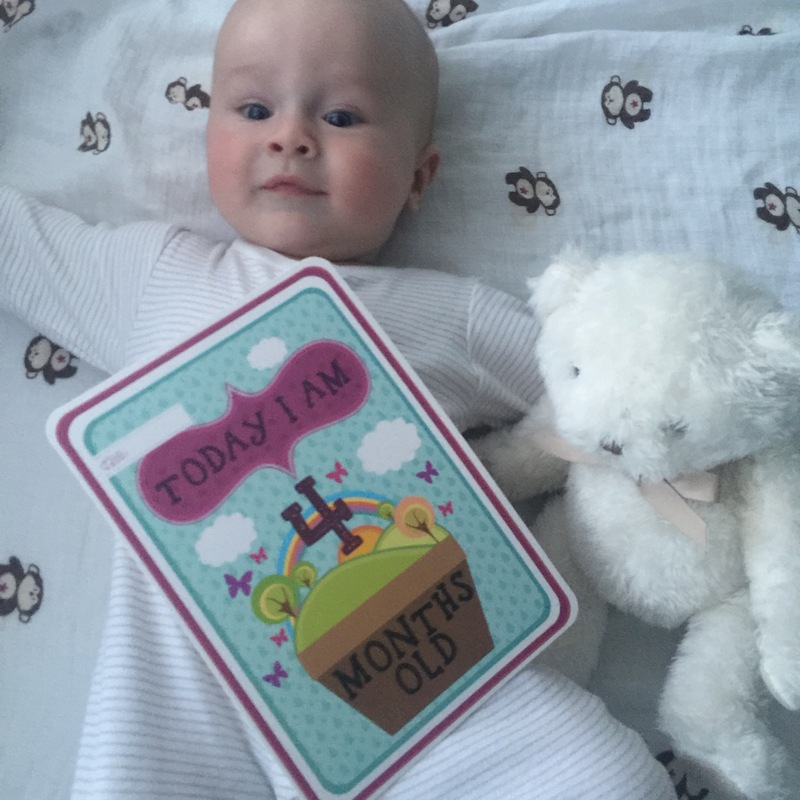 When Dexter was first born and he was sleeping all day, I used to try and keep him awake thinking it would mean I would get longer at night – big mistake! Dexter has always been a relatively good sleeper so he has to take most of the credit as to how and why he naps so well, but I also like to put it down to my research and routine I adhere to every day. He slept through the night from around 9 weeks old and only very occasionally now wakes in the night. If a baby doesn’t get enough sleep you will see that he suffers screaming fits during ‘witching hour’, is really grumpy and cries a lot, seems to be hungry but a bottle/breast never seems to satisfy him and he will sleep poorly at night with multiple wake ups. Some sleep experts also say that if baby sleeps TOO much during the day then he will also sleep poorly at night. It is a very fine balance to find! Dexter and I suffered terribly for many weeks during the ‘witching hour’. It would hit 5 or 6pm and the screaming would start and nothing would soothe him. These screams were unreal; he would go bright red in the face, sweat and let out toe curling high pitched wails. I would try everything I could to soothe him: rocking, singing, feeding him, distracting him but nothing would work until eventually he fell to sleep. I can safely say that these occurrences are now very rare since I implemented my sleep schedule. You will have heard so many times that every baby is different and I fully appreciate that, which is why, in my opinion, it is so important to spend a few weeks watching your baby and noting down any regular habits (times of feeds and sleepy cues). I always try to avoid ‘feeding to sleep’ and prefer to follow the EASY model which stands for Eat, Activity, Sleep, You. For example, the baby wakes up from his nap and he EATS, we then do an ACTIVITY which tires him out to go to SLEEP, leaving YOU time to do what you need to do whether that’s eat, sleep or clean. This model doesn’t always work though, especially when time between feeds starts getting longer. Dexter now goes four hours between feeds but sometimes will only nap for an hour or so which means he sometimes needs to squeeze in two naps between bottles. It is important to know that babies have a sleep cycle which lasts around 45 minutes. Your baby will more than likely wake 45 minutes after you have put him down because he doesn’t know how to get back to sleep by himself. It is so important to do whatever necessary to get him back to sleep. In our case, I replace his dummy and leave the room. You need to be prepared to get in the room and do this because if he is left to cry for too long he will fully wake up and likely be cranky and tired. The most important rule I follow is around maximum length of awake time. Dexter doesn’t necessarily nap at the exact same times every day but I only keep him awake for a set amount of time. Babies are able to stay awake for between 45 minutes and 2 hours depending on how old they are. Again, this will differ between babies and this is why it is important to watch your baby closely over a few weeks. Dexter’s maximum amount of awake time is between 1 hour and 15 minutes and 1 hour and 30 minutes. If he is kept awake and stimulated longer he begins to yawn, rub his eyes, turn a little pink around the eyes and cry. Some sleep experts recommend that as soon as you see these ‘sleep cues’ you should put your baby to sleep. It is my opinion that once a baby is showing these cues, it is probably already too late. I like to put Dexter down to nap fifteen minutes prior to his maximum awake time. This means putting him down in his cot after he has been awake for either an hour or an hour and fifteen minutes. I then leave him to self-settle. I do not leave him to cry as I do not believe in the cry it out (CIO) method. He will often cry out and I have to go in and replace his dummy, normally a maximum of three times and after this he will sleep. Bedtime toys are toys that I only use in the cot. They come in very useful when we are out and about because I produce the toy and Dexter associates it with sleep. We use a white Mamas and Papas soft bear and a Mickey Mouse toy attached to a small blanket. Dexter has grown accustomed to talking to these toys when he’s left alone in the cot and cuddling them to sleep. 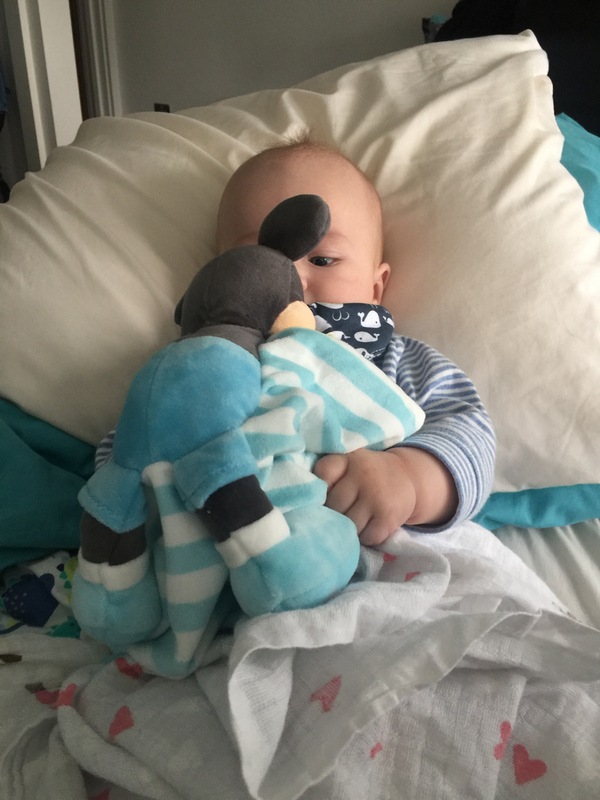 Bedtime toys will help you massively when attempting to get baby to self soothe without the need for CIO. We do not use these toys under any other circumstances apart from as a sleep aid. A good way of measuring how long your baby can stay awake between naps is using the amount of time he was asleep during a previous nap. If Dexter only managed an hour then I try to put him down 45 minutes to an hour later. If he slept longer than two hours then I know he can probably cope with being awake for a bit longer. If you find you have put your baby down and sleep just isn’t happening, then by all means, get them up, play for another fifteen minutes then try again. It can be complete trial and error and it has taken me four months to get this absolutely right. For me, there is no point establishing a routine until baby is at least eight weeks old. Before this they need all the sleep they can get and will need to wake multiple times during the evening and night to feed. You will be able to tell when baby is ready for more awake time and therefore ready to start naps: he will be so much more alert and able to make eye contact and probably smiling. This could mean baby is not quite ready until he is twelve weeks old. · Baby’s bed time needs to be twelve hours after he has woken up, so if he wakes at 7am he should go to bed by 7pm (give or take an hour or so). 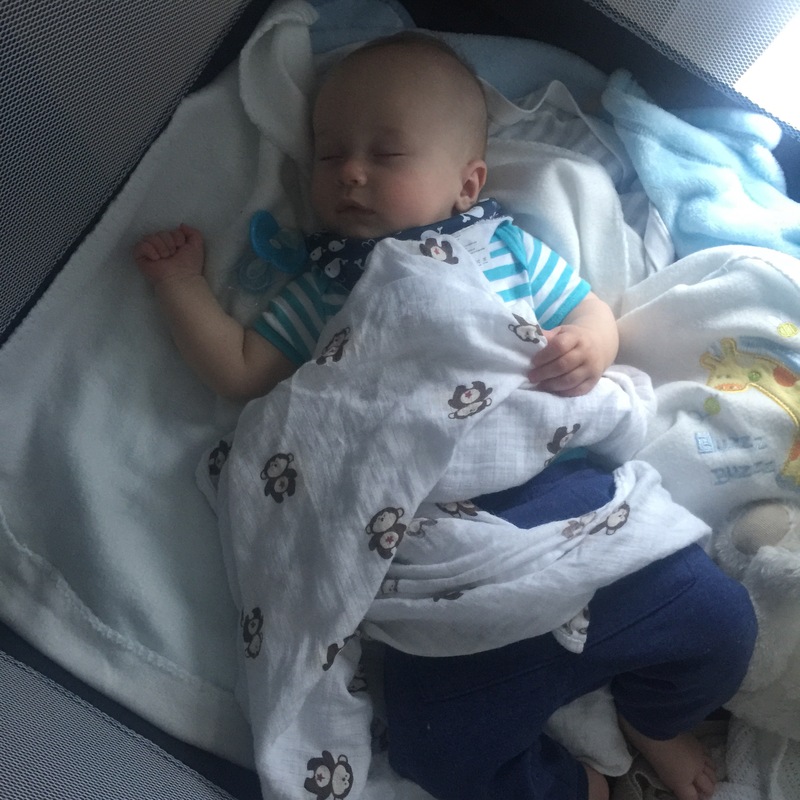 · The easiest nap to get baby to take is the first nap, he normally can only stay awake for an hour to an hour and a half after waking up in the morning. If you nail this nap, others will also come easily. · Witching hour CAN be avoided! Witching hour usually comes because baby hasn’t had enough sleep during the day and ends up being extremely overtired by 5 or 6 o clock. If you get plenty of naps in during the day, witching hour can become a thing of the past. · Some babies need you in the room with them while they go to sleep. Dexter used to need me to be next to him holding his hands, now he can’t sleep if I am in the room! · It is recommended to put baby to sleep in a dark room with minimal noise, however Dexter sleeps in our bedroom which faces an extremely busy main road with lorries bouncing up and down over pot holes and light floods the whole room and he sleeps just fine. 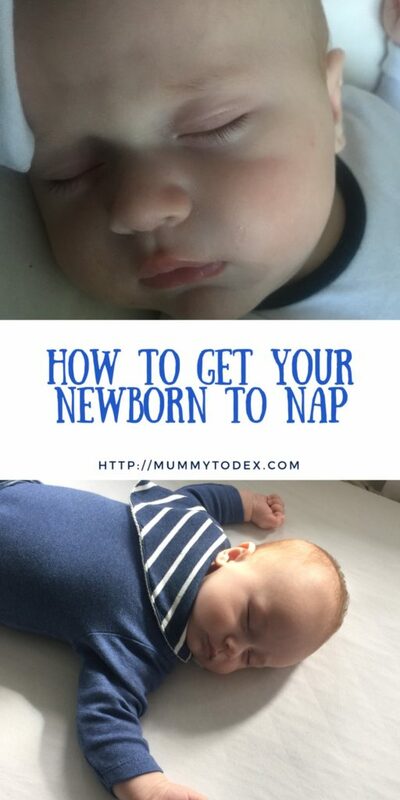 · Signs baby is ready for a nap (remember eye rubs and yawns could mean it is too late!) – rolls onto side when placed on his back, let out little cries/grumbles, is very interested in sucking on his dummy, starts ‘spacing out’ or goes very quiet and seems to stare into space. 6pm Bedtime routine – bath, bottle, bed. 6.30pm Start bedtime routine – bath, bottle, bed. Just want to say this massively helped me with my nap time planning with Hunter! I read this a while ago but forgot to say thank you! Before I let him get to a point where he was overtired and he would refuse a nap because he was in such a pickle! I had no idea babies needed to sleep this much but he’s a changed baby now and it’s helped me too as I often take a cheeky nap alongside him. Thank you!